Machine Gun, Jimi Hendrix’s protest song of 1970, with its epic guitar solo, resonates loudly today: “Machine gun/Tearing my body all apart/Evil man make me kill ya/Evil man make you kill me/…/Well I pick up my axe and fight like a bomber…” Hendrix served his country in the Vietnam War and survived to trade his machine gun for an electric guitar, coming home to make music that penetrated our collective psyche. In my arrangement of Machine Gun, you hear a band of cellos coming together to honor a musician who had the courage and talent to risk having his voice heard above the cacophony of war. This work is recorded on Oxingale Records’ album Vinylcello. Click here to go to the album page on iTunes. 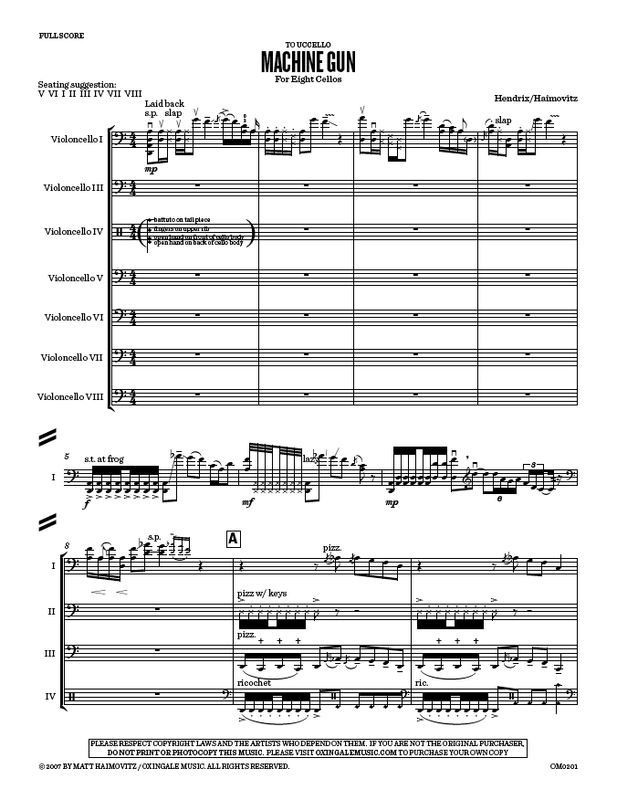 This entry was posted in Cello Music, Matt Haimovitz, Recorded on Oxingale, UCCELLO COLLECTION and tagged 8 cellos, Buck the Concerto, Hendrix, multi-cello, Sanford audio clips, VinylCello. Bookmark the permalink.